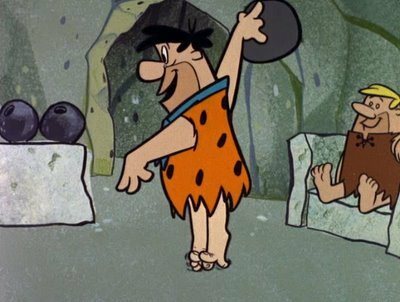 In a case that would have Fred Flintstone rolling over in his grave, the Tax Court reminded us that expenses incurred while pursuing a hobby cannot be claimed as deductions – no matter how you see it. Bruce Phillips was a career postal worker. He was also a self-taught bowler. Until 2004, he worked the night shift and spent a far amount of time at the bowling alley. 2000 was a very good year for Mr. Phillips. He won over $50,000 in bowling tournaments. It seemed his pastime might be lucrative enough to become a business. He invested heavily in the bowling venture – to the tune of $30,000 per year. He was not an overnight sensation though. He only won more than $10,000 in a year once more. He nonetheless continued to view bowling as his business. The IRS denied Mr. Phillips’ business expenses and he challenged the Commissioner’s determinations by filing a pro se petition in Tax Court. The Tax Court walked through the nine factors in Treas. Reg. §1.183-2(b), which defines activities not engaged in for profit, concluding that Mr. Phillips satisfied none of them. The Court’s conclusion probably had as much to do with Mr. Phillips’ failure to produce evidence that he even participated a bowling tournament in 2008 as it did with his failure to show that he carried out his bowling venture in any kind of business-like manner. It seems from the evidence and testimony recounted in the opinion that he did neither. Mr. Phillips’ business expense deductions were denied in full and he found himself subject to an accuracy-related penalty of 20%. Gutter ball.